Even before his Best Picture-winning political thriller Argo, Ben Affleck has been expressing his desire to do a film on the Congo region of Africa, but finding few takers in Hollywood. 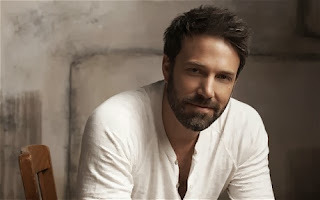 However now that he's had a string of critically-acclaimed hits and a major studio like Warner Bros. fully in his corner, Affleck has found he can pretty much do whatever he pleases. Deadline reports that Affleck will finally get his wish to make an Africa-set thriller, and it sounds like he's venturing into Syriana territory. Will Staples has been hired to pen a the script for the untitled geopolitical film, "an examination of the moral ambiguities of how philanthropy and foreign assistance veers into modern-day neocolonialism." It will explore how meddling in the affairs of foreign countries never turns out as planned by telling the story of a group of mercenaries hired to kill an African warlord who has been victimizing his people. Affleck will take the helm and star, but it may be awhile before this one gets rolling. Affleck is currently filming David Fincher's Gone Girl; followed by a little indie film Man of Steel 2; then he's set to helm an adaptation of Live By Night. So he's all sewn up through most of next year, but when this one does get moving expect it to draw a lot of attention.